Bonjour Scrap ! 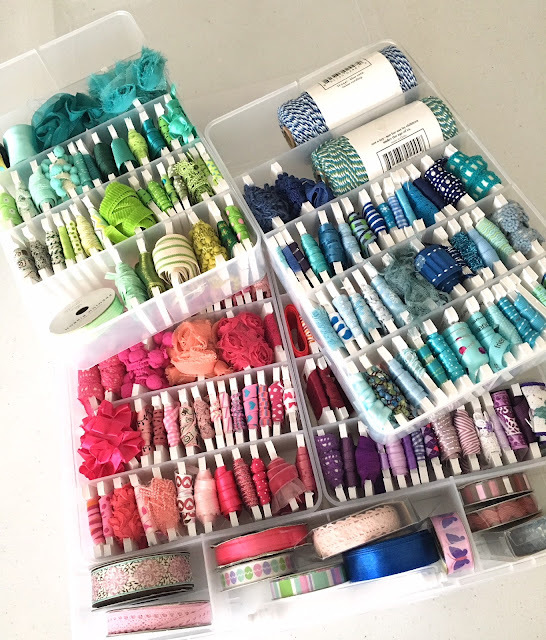 : How do I organize my ribbons ? 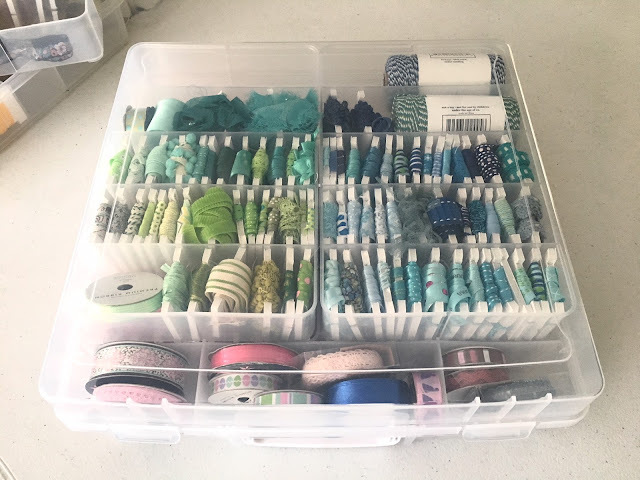 Fantastic ribbon storage! So neat and organized and pretty!!!! Good luck on your move...again! Glad you find me ! Foam board is really inexpensive and you can cut a lot of spool in only one board. 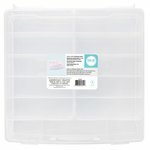 I now have three of these boxes... thanks for reading my post ! What yardage does a bobbin hold? 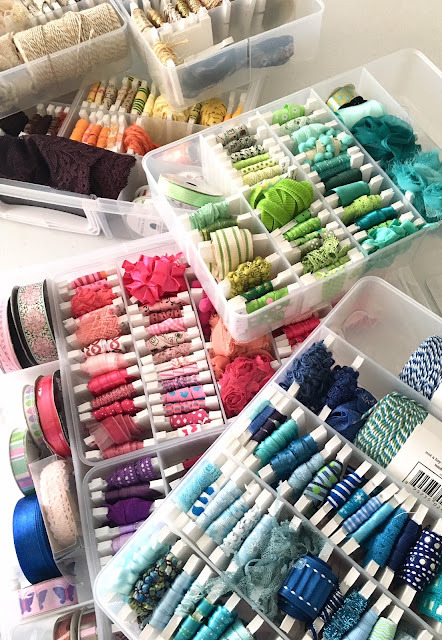 Can you get multiple yards from a spool on them, at that size? Very interested in knowing that. thanks again. It depends on the type of ribbon. Less for laces and larger ribbons, more for twine and thin ribbons. 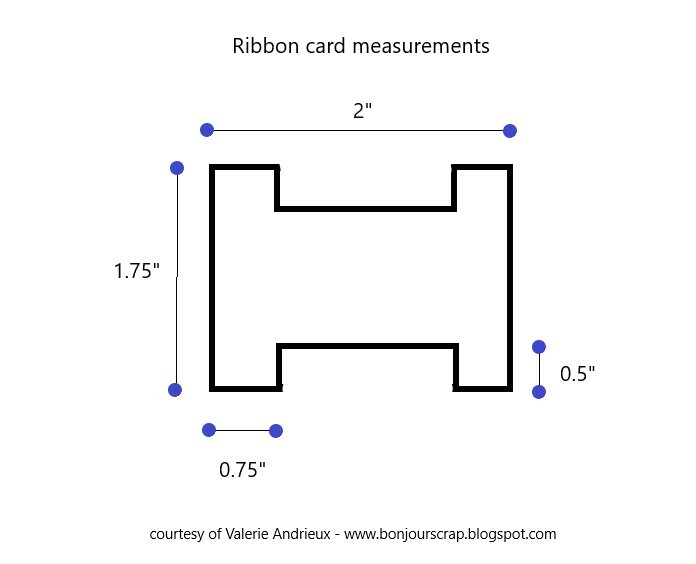 Average can be between 1 and 2 yards. I keep new spool on original packages inside the boxes (there room for them) until I used few feet.